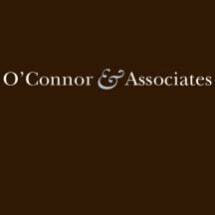 O'Connor & Associates is a personal injury law firm . We help our clients obtain justice & compensation for injuries caused by negligence or carelessness. We seek maximum compensation for our injured clients. Michael O'Connor has practiced law since 1981. His undergraduate degree is from the University of Missouri, and his law degree was attained at St. Mary's University School of Law in San Antonio, Texas. Mr. O'Connor is a member of the Texas Trial Lawyers Association and the American Association for Justice (AAJ).